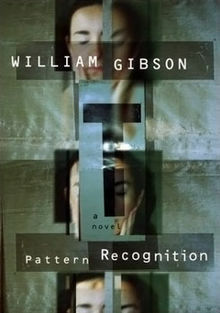 Retrospection could be the name of a new volume by some kind of futuristic thinker who was a mix of Borges and William Gibson, the author of such volumes as Neuromancer and Pattern Recognition. Imagine it as the novel to end all novels predicated on the idea that human life has come to an end and now all that is left is hindsight, which is, as the saying goes, always 20/20. In this fictional universe mankind has finally come up against a wall. Time goes on, but there's no way it will be recorded. It’s the old “if a tree drops in the forest and no one is there to hear it” problem. There are no planets orbiting Kepler stars 1200 light years from earth for which civilization will set its sights since a viral malfunction has caused all DNA to unravel. Of course in order for the novel to be written and have any real meaning all of this would really have to happen (which would be a problem from a writing point of view since the fictional possibilities would still be endless). Pure fiction, based only on the imagination of disaster, could never ascertain the whole and complete picture of the decline and fall of Homo Sapiens in any meaningful or saleable way. It would also be such a massive document that not even a Kindle could hold it. Oh, Retrospection would have one more problem. It wouldn’t sell a copy since no one would be left to read it.